If you are an adventure freak who is always eager to explore the nature then you should definitely carry a spotting scope with you. If you are not aware what a spotting scope is, I would like to tell you that a spotting scope is a high-power telescopic device capable of being optimized depending upon their varying optical power. Now, there are two options for you to carry your spotting scope while adventuring. The first option is that you carry it all the way along in your hands, which may not seem the right choice once you read the second choice. The second option, which even you will recommend to others by the time you finish reading, is to purchase a spotting scope mount, fix it firmly on your car’s window, affix the spotting scope on it and enjoy nature’s beauty by adjusting the Spotting Scope as per the desired resolution. There are chances that the idea of carrying the best spotting scope tripod stand can be opted for, but you certainly don’t want to carry that heavy tripod all the way along! Before purchasing the best spotting scope window mount, I would like to suggest you prepare a checklist containing the points which will help you in filtering out the best spotting scope mount for you. These points include, but not limited to the material of which the spotting scope mount is built, probably with a mechanical impact and/or ingress protection rating, the attachment width, range of devices which can be connected, such as mobile phone, camera etc. and range of motion of the Spotting Scope mount. While surfing on the internet, you may not find the features mentioned above mentioned for all the spotting scope mount products, but having all of them will definitely be the choice you would like to go for. Features to look for while buying the best spotting scope mount? I would like to begin with the first factor on the list, the material of the Spotting Scope mount. As I mentioned above, these mounts ought to have either mechanical or ingress protection rating. If you are not aware of these ratings, I would like to tell you that if any object is said to have mechanical impact rating, it means that the device is resistant to a defined level of mechanical impact when dropped from a specific height or exposed to predefined mechanical tortures. On the other hand, having an ingress protection rating implies that the object is resistant to water and dust. The IP rating varies with different levels of exposure to water pressure and dust concentration along with variations in temperatures. But this is something which will not be inscribed on the Spotting Scope mount or on its packing. You got to find it out through the manufacturer, or any of their trusted sources. Moving on to the next factor in the list, the attachment width. Now, this is a feature which can affect the type of devices you can attach to the Spotting Scope mount. The attachment widths vary depending upon the devices they support, ranging from 1.5 inches (approx. 3.8 cm.) to 4 inches (approx. 10 cm.). Based on the attachment width provided, you may even attach the Spotting Scope mount on a thick bar (balustrade) as well. Varying from one product to another, the Spotting Scope mount can also have the provision of a swivel to allow the device attached to rotate. So while buying yourself a Spotting Scope mount, remember to check the attachment width of the mount for sure! The next and perhaps the most important factor, the range of devices supported by the Spotting Scope mount. I can say for sure that you wouldn’t want that the Spotting Scope mount you are going to buy does not allow you to attach any gadget other than the Spotting Scope. I mean, if you are a bit low on budget and want to do all the bird watching through your smartphone or binoculars, purchasing a Spotting Scope mount will be of no use. 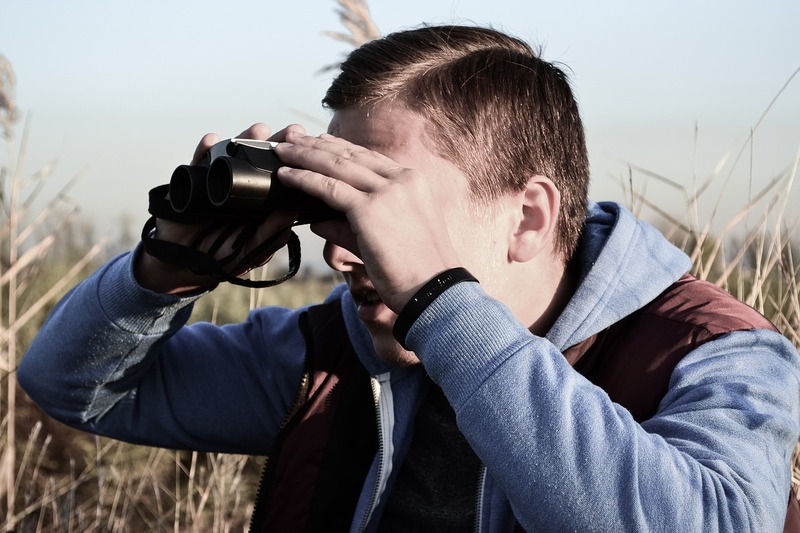 But, having a mount which allows you to affix your smartphone or binoculars on it will certainly be beneficial for you. Depending upon the type of mount you purchase, you can easily find a Spotting Scope mount which can support all or some of the devices like smartphones (including iPhones! ), telescopes, binoculars, monocular, night vision spotting scope and the list goes on. Having such feature also provides you the option of recording and even clicking photographs using your smartphone and store them in the timeline of your travel diaries, in spite of only observing through the spotting scope or similar device. Another factor, which also happens to be a crucial factor is purchasing the Spotting Scope mount is the range of motion supported by the mount. Now you may think what does that mean? Well, the range of motion determines the maximum possible extent to which the Spotting Scope mount can be rotated. If you feel of stepping out of your car, carrying your mount along with you to the fields or any place of your choice, then you would definitely want to have a mount with a certain range of motion. A range of motion does not only imply that you will be able to move your spotting scope only in the horizontal direction. The range of motion provides you far more functionalities than just single plane movement. Varying from one product to another, you can find a lot of spotting scope mounts in the market as well as the internet, which entitles you to move your spotting scope device with both pan-motion and tilt-motion. Tilt-motion implies that you are able to move your spotting scope device in the vertical direction. The angle by which you are able to move the spotting scope in tilt motion may be different for different products. There are spotting scope mounts which allow you to have a 360 degrees range of pan-motion, and there are also mounts which give you 180 degrees (two-way) or 90 degrees range of pan-motion, with or without the provision of tilt-motion. After reading the factors affecting the purchase of spotting scope mount, I believe you will be able to easily select the best spotting scope tripod mount product for yourself. Now that we have discussed the factors you should be aware of while purchasing a Spotting Scope mount, we can move on to the different products available on the internet. We have shortlisted the top five spotting scope mounts as per the consumer ratings as well as the pricing structure of the products. In this way, your energy and time to browse the internet in search of the most suitable spotting scope mount will be saved to a great extent. After reading about the products, all you have to do is click on the link given for that particular product and shop for yourself! The first one on the list is the “Nikon 7070 Binocular Window Mount”. 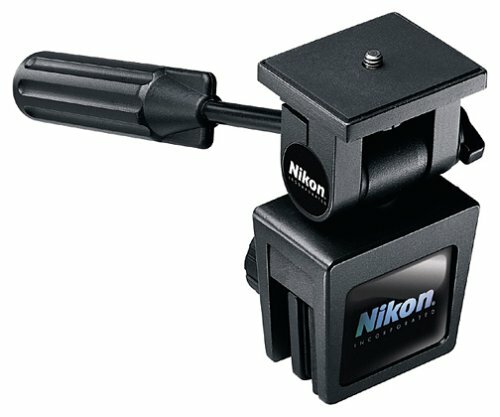 One of the best features of this device is that it is compatible for use with all spotting scopes, cameras as well as different sorts of tripod adaptable accessories. Its pivoting head allows you to have a full range of motion, through which you can watch those far-off flying birds in any horizontal direction. Rubber padded clamps give your spotting device a firm grip when you fix it on your car’s window. But one of the things which can provoke you to hit on to some other spotting scope mount is the attachment width of the mount, which does not allow you to fix the mount on surfaces thicker than a car or truck’s window. This turns out to be a limitation for the product, especially when there are products already present in the market which offer you a range of options in terms of fixing your spotting scope mount, like on railings, or handrails etc. 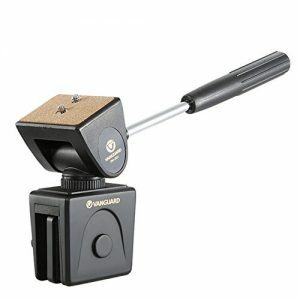 Moving ahead to our next product on the list, the “Vanguard Window Mount”. It is presently available in three different models on Amazon.com, there specifications and price varying with each model. The first model in the series is the “Vanguard PH-201 Window Mount”. The product specification varies for features such as pan movement, tilt motion, weight handling capacity, degree of rotation etc. Just like our previous product, this one too can be adjusted to fix on windows, hence allowing a 360 degree rotation of the scope. But it can be fixed only on windows! That is something which I would call a limiting feature for the product. You can easily load a scope weighing up to 4.4 pounds (approx. 2 Kg. ), and is itself only 13.9 ounces (approx. 400 grams) in weight. 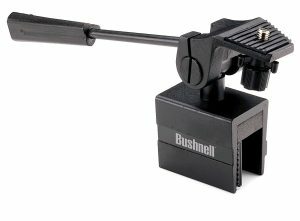 Next product on the list is “Bushnell 78-4405 Car Window Mount”. Embedded in a matte black finish, Bushnell’s scope mount enables you to achieve a stunning high definition resolution of the view, with body developed so as to tolerate extreme conditions and extremely durable. It has a two-way pan head, due to which you are allowed to adjust the spotting scope’s pan according to your convenience. Its rubber clamps hold on to the window firmly while you enjoy the view through your spotting scope. The next mount on the list is “Pedco UltraClamp Assembly Camera Mount”. 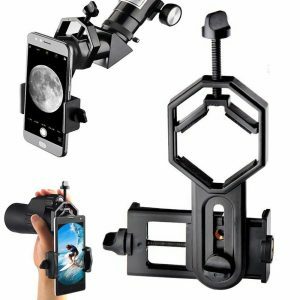 Having an adjustable clamp and mount accessory for a variety of devices like cameras, spotting scopes, binoculars etc., the mount attaches itself firmly and easily on both round and flat objects like handlebars, car windows, roll bars, railings, and tables. Its ball and socket head allows you to easily and quickly adjust the positioning of the spotting equipment, that too at your desired angle! The strong, sturdy and durable aluminum body clamp can hold devices as heavy as six pounds (2.7 Kg. approx. ), and is available with attachment widths varying from 1.5 inches to 4 inches, with a swivel present for the 1.5 inches model and the 4 inches model. If I compare this product with the products already listed above, I would definitely want to purchase it due to the features mentioned, assuring me that my scope would not get damaged or fall off from the mount. All this confidence for the product comes largely because of its lightweight, aluminum body and its ability to bear considerably heavy loads. Next on the list is “F. Dorla Universal Cell Phone Adapter Mount”. 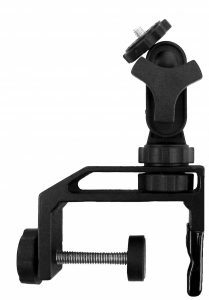 As the name suggests, the mount has a great attachment width ranging from 52mm to 100mm, and is capable of attaching a variety of smart phones such as iPhones and the Samsung Galaxy phones. The mount is compatible with range of devices like microscope, telescope, binoculars, monocular, night vision spotting scope etc. It also supports an eyepiece diameter from 25 to 48mm to easily get your mobile phone into video camera, and take splendid pictures easily! Its durable and sturdy body prevents your phone from any damage, and the high density Eva pads avoids any sort of scratches or harm to your gadget. It even has an adjustable locking mechanism using steel bolts, and can easily and separately mount on any standard tripod stand. 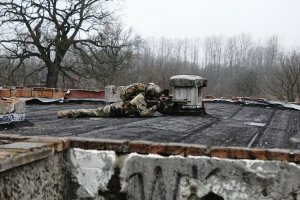 Coming to an end of the discussion, since we have discussed the best-selling spotting scope mounts, and have also discussed about their distinct features, it is time for you to form your opinion as to which spotting scope mount you are going to buy, keeping in mind the quality deciding factors of the spotting scope mount. So that you don’t have to care about your spotting scope device the next time you go for bird watching or shooting photographs and videos, as your mount is going to do that for you!